All the talk concerning the best league in the world! 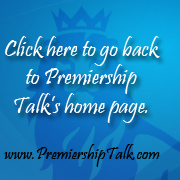 Also home of the Premiership Talk Predictions Game! Come here to chat about the 2nd tier of English Football - The Championship! From La Liga to Serie A, come here to debate global football! Discuss Europe's most elite continental club competitions here. A forum for International Football!